> Comestibles>Caviar Potato Chips - Selecta by Torres 40 gr. 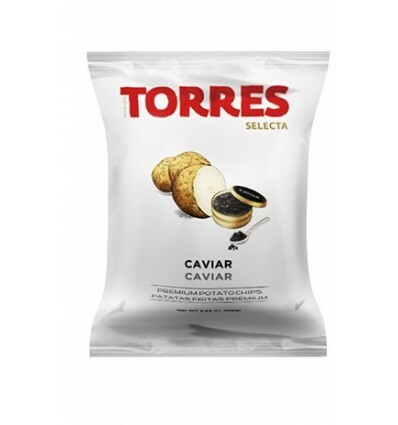 Caviar Potato Chips by Torres is a small delicatessen for select products lovers such as these potatoes chips, with caviar taste makes your vermouth rise the level to another dimension. Delicious potato chips with a perfect caviar touch in both aroma and flavor.